Jim Cohen has assumed the presidency of the American Guild of Judaic Art (AGJA). AGJA is a multinational organization of over 130 members dedicated to celebrating the diversity of Judaic art around the world and connecting with those who create art inspired by Jewish traditions and ritual. Cohen has previously been a member of the SNAG Board of Directors and is finishing his term as President of the New Mexico Metalsmiths Guild. Chelsea Fay was awarded the $15,000 Tiffany & Co. Foundation Metals & Jewelry Design Endowed Scholarship. Reiko Ishiyama was selected as an Awards of Excellence winner at the 2012 Baltimore ACC show. Susan Myers’ fabricated metalwork is on view at the Philadelphia International Airport. The exhibit, “For Your Entertainment,” is located in five large cases in Terminal A-West at the airport and will be on display until January 2013. Michelle Pajak-Reynolds was featured on the television program “Indelible Impression with TeeMcBee,” discussing her jewelry projects and the advantages of investing in custom jewelry. Three pieces from her “Water’s Edge” collection are included in the Touchstone Center for Craft exhibition at Frank Lloyd Wright’s Fallingwater estate. Pajak-Reynolds was also a finalist in this year’s COSE Arts Business Challenge. HGTV’s Dina Manzo wore her “Pirouette bracelet” on the red carpet for the Project Ladybug Bash in Chicago, and her “Fallen Trees bracelets” and “Crystalline necklace” were featured in The Burr Magazine. 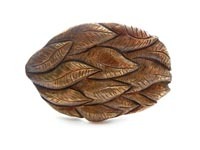 Mark Thone received second place in the Annual World Championship Belt Buckle Competition for his Chased Buckle made of red brass. 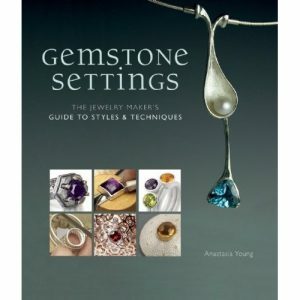 Aleksandra Vali’s works were selected to be presented in the book Gemstone Settings by Anastasia Young. Vali’s piece Essence of Water was also featured on the cover of the book. Marina Babic received first place in Beads in the 2012 Saul Bell Design Award Competition held by Rio Grande. Brian Quigley took second place in Silver, and Jennifer Park received second place in Enamel.